Invest in an Amish handcrafted Charlemagne Armoire with timeless crown and trim molding, raised hardwood panels, and decorative bracket feet. 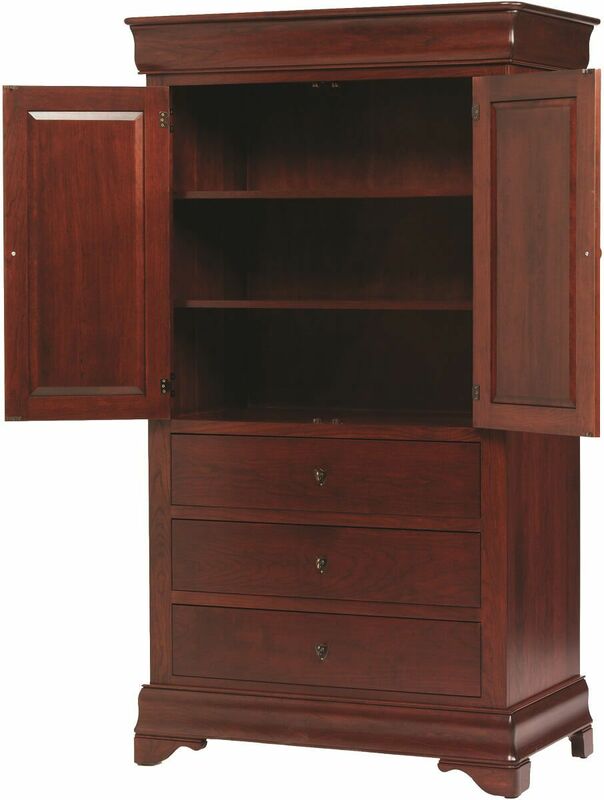 Showcased in a rich Sangria wood finish over domestic Cherry, the Charlemagne Armoire is handmade to order especially for you. Access two adjustable wooden shelves and a hanging clothing rod behind the double doors, allowing you to utilize the wardrobe as you see fit. Three deep-seated drawers at the base of the piece are dovetailed for strength and affixed to discrete undermounted drawer slides. 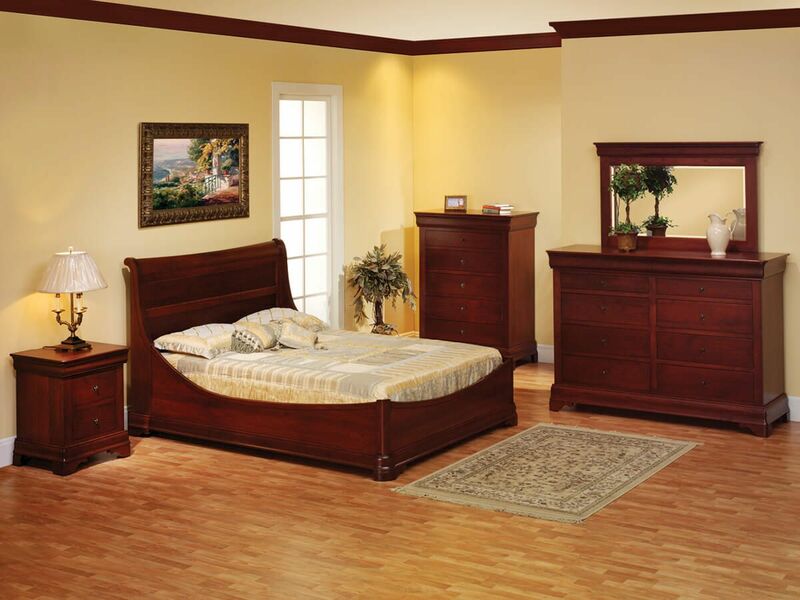 This allows each drawer to open to full extension as well close with a soft motion. 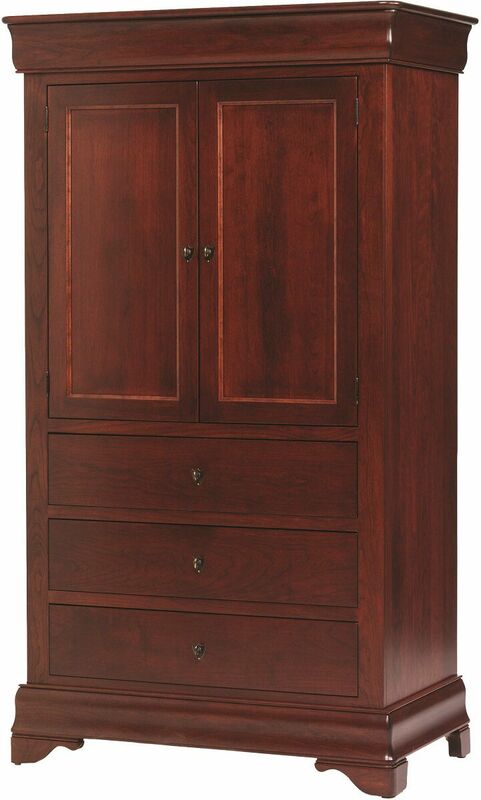 Handcrafted by our Amish artisans, the Charlemagne Armoire is made in your preferred wood and finish combination. 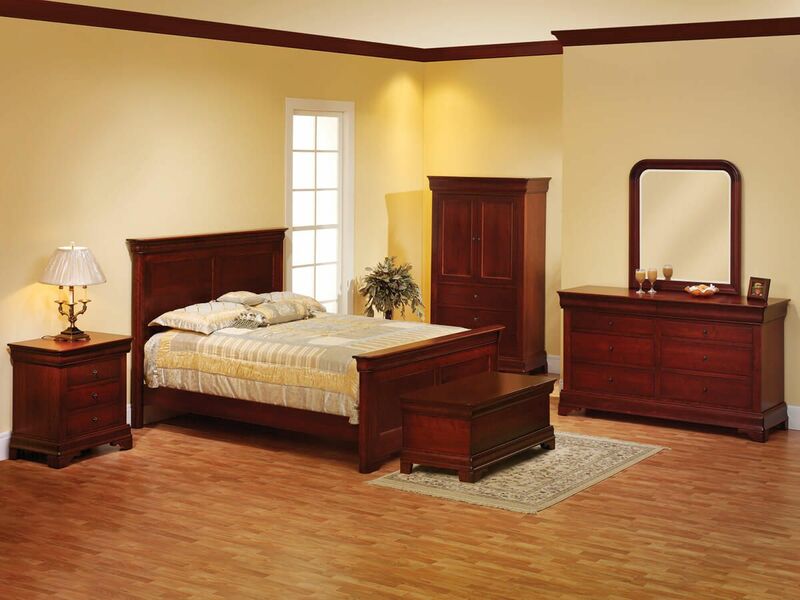 Solid wood construction and mortise and tenon joinery protect the durability and longevity of your armoire.